Join host Amy Zellmer as she chats with TBI survivor, Adam Pepiton. Adam Pepiton, a graduate of Cesar Chavez High School, was living a full life as a college student studying Criminal Justice, working for Kmart and spending time with family and friends. Then on September 5th, 2010 his life changed forever. When leaving a friend’s house after a party, he was the victim of a drive-by shooting in which he was shot in the head. The bullet entered on the left side and lodged in the skull on the right side. This type of injury (transverse) has less than a 1% survival rate, so Adam surviving was a true miracle. Adam is diagnosed as a quadriplegic due to the brain injury. This means he has feeling throughout his body but can’t control his legs, trunk, has diminished use of right arm and limited usage of his left arm/hand. 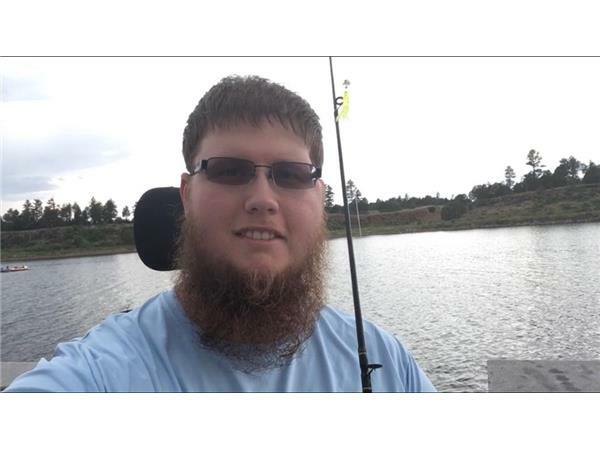 Adam is currently taking college classes and volunteers for the American Red Cross handling the volunteer applications and processes, along with starting his Youtube channel.